Most people have a hobby that they enjoy. For me, that hobby is fishing - more specifically, fly fishing. I started off with a pretty inexpensive fly rod as I learned how to cast. As time went on, I got better and better at it to the point where fly fishing became my preferred way to fish and 99% of the time I am fishing, there is a fly rod in my hand. 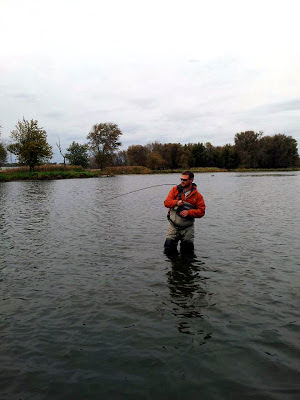 With this confidence, I began to appreciate the elements and characteristics of higher end fly rods. I could appreciate the way one rod would cast vs another. I also learned to appreciate the need for different weight fly rods depending on what flies I was using or fish I was targeting. What I wasn't able to appreciate, and still don't, is the ridiculous cost of these high end rods. $300, $500, $800, $1,300, and sometimes higher rods are common place in the wonderful world of fly fishing. 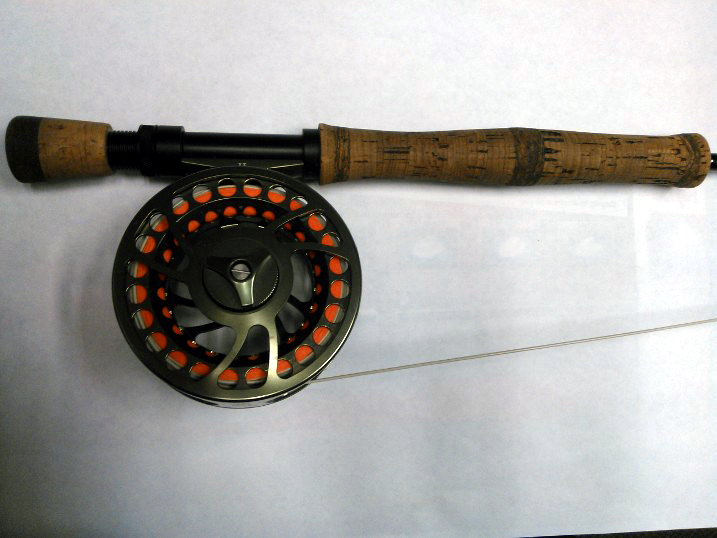 Prices like that for a fishing rod are insane to me but I still really wanted a high performance fly rod! So what does a frugal person like me do? Well, the solution came to mind when I remembered that a local guy I know builds custom fishing rods! I had seen his work and know of plenty of people who were beyond happy with the price and the quality of the rods that this local rod builder had made for them. What I didn't know is if he had ever built a fly rod. "Hey Ed....You know anything about building fly rods?" After a bit of conversation, I felt confident that he could build what I wanted, so I told him what I was looking for and let him go to work. 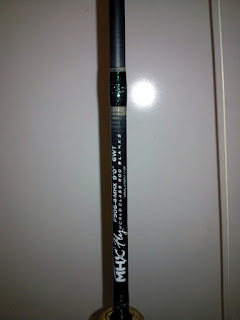 I didn't have a specific blank in mind or brand; I only knew that I wanted a 4 piece, 6wt rod that was 9' long. It had to have a crisp feel to it; not too fast but not too slow. I basically wanted something that had a progressive amount of power depending on how much put into it. My intended target species for this rod was carp....This meant that it not only had to cast the way I wanted, but it also had to have a strong enough backbone to handle these big bruisers once they were hooked. The description I gave him was vague but yet very specific. I knew what I wanted the rod to feel like but I had a hard time putting it into words. Ed took the little bit of info that I gave him and started his search to find the perfect blank. He ended up picking one from a company called MHX. The specific blank was the F906-4-MHX and it has a factory claim of being a "fast" action rod that weighs a minuscule 1.7 ounces. For the running guides, he ended up using some slick single foot guides from American Tackle. This helped save a bit of weight and gave it a stealthy aesthetic over the traditional snake guides. The stripping and transition guides are titanium frame Nanolite ringlock guides, also from American Tackle. 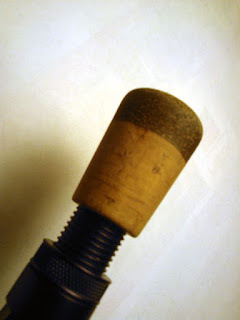 For the handle, a premium grade cork was used with some subtle but nice inlays of light brown cork burl. What I like about them is that they aren't over top "look at me" type of inlays but still enough to know that the grip isn't your everyday cork handle. The reel seat is a black anodized aluminum up-locking seat. It's clean, simple, and effective. So enough with the specs! How does this baby handle?! Within a minute of taking my first cast, I was in love with the way it cast. It rewards you the most when you give it the least. 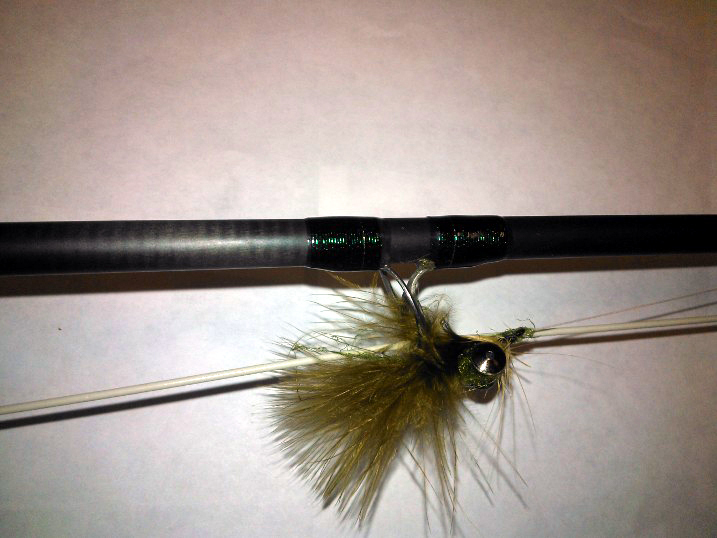 Less is more is the mantra to keep in mind when you cast this thing. Try to overpower it, and you will have a pile of fly line at your feet. That isn't to say that you can't power it up, you just have to do it in a manner that allows the rod to do the work for you. Laying out the full length of fly line is definitely doable if you treat it right. 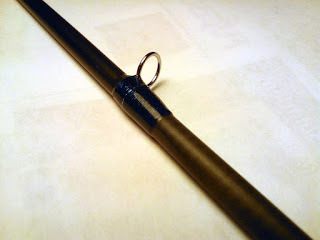 The loops this rod creates are fantastic and make you feel great about your abilities. I have cast flies with this rod that range in size and bulk from number 10 backstabbers to number 2 clousers, and even 1/0 deer hair poppers; it handles them all with ease. When it comes to handling fish, this rod is interesting. The rod is sensitive and I have really felt some very subtle bites that may have been missed by a less sensitive rod. I have caught a ton of fish on it and the fight is unique. It definitely has the strength to handle some big fish but it really has a lot of bend to it at the same time. It's hard to describe but I would say it has a strong backbone like I wanted but still has a lot of finesse. As an example, look at the bend in this picture where I was fighting a 9lb drum during a recent trip. As you can see, that rod isn't afraid to bend but it still holds a lot of power when you have a big fish in the current. 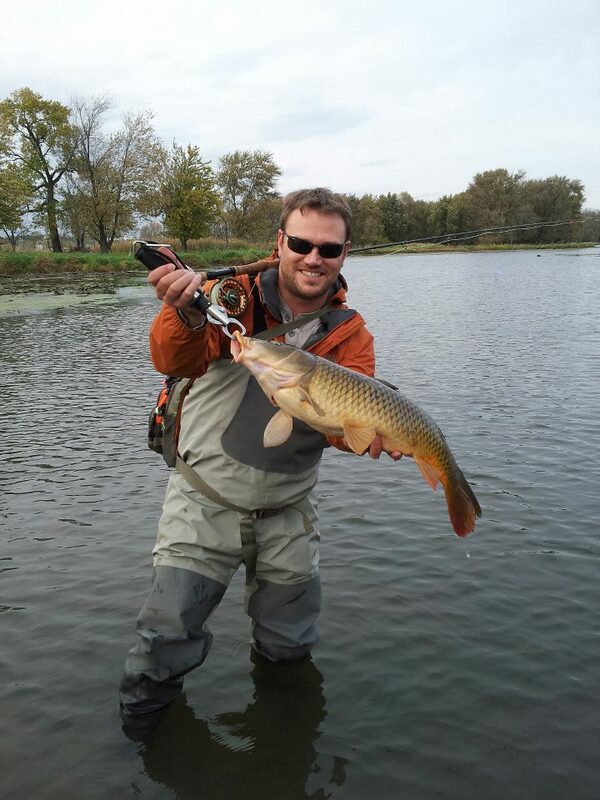 Here are some other fish that have all put this rod to the test. There was one part of this whole thing that I was really nervous about when I first decided to get a custom fly rod; durability. 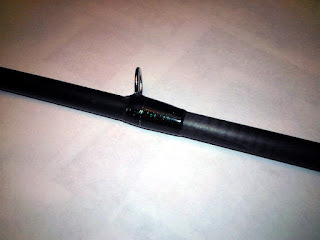 You see, if you go to a big fishing store and buy a rod from a big manufacturer, then break it, it's generally a pretty easy deal to send it back and have a new or repaired rod in your hands. 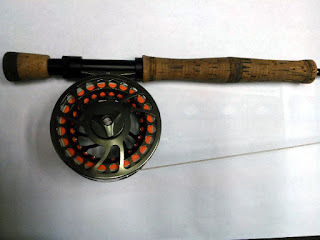 As an example, I have an 8wt TFO BVK fly rod that I have now broken three times. 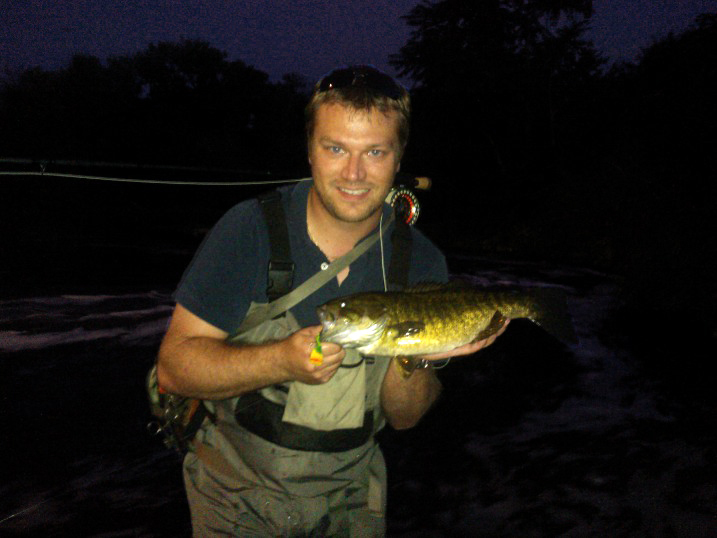 Within a week or so, the rod is back in my hands and ready to fish with almost no hassle. "So what about a custom rod?" I wondered. First, let me say that I have put this thing through hell. I have said it before and I am sure that I'll say it again, but I am not easy on my equipment. So far, the custom rod has handled everything I have done with it without a single incident. As a result of this, I have more confidence in this rod than any other fly rod I have or have had. Still, in the event that it actually does break, it comes with a limited lifetime warranty. The process is a bit different though and this is something that needs to be considered before you decide to start having custom rods built. If it breaks, rather than just sending the rod to the manufacturer or returning it to the store, you have to remove the guides and other hardware leaving only the blank to send back to the manufacturer. They will then send you a replacement section which would then need to go back to the rod builder (in this case that would be FSA Custom Rods), so they can re-wrap it. Obviously, this may add a bit to the duration of you being without your fly rod. 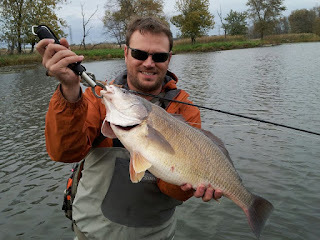 It's not a big deal to me as I have other rods I can use, but it is something to consider. In terms of FSA Custom Rods - working with Ed was fantastic and he achieved every detail that I was looking for with this rod. His attention to detail and confidence in the process was great. After I used the rod for a few weeks, I sent him a message noting how much I was enjoying it. This was his response that I am quoting, "Glad you like fishing it. It was an easy one to build but I spent a lot of time laying it out so it would balance and weigh as little as possible." He continued, "I probably spent 4 hours just static testing the guides. That was how I figured out how to eliminate 1 extra guide that was recommended by MHX." It is that attention to detail and the process that I am most impressed with. It was good chunk of time for something that I honestly hadn't even noticed until he mentioned it. 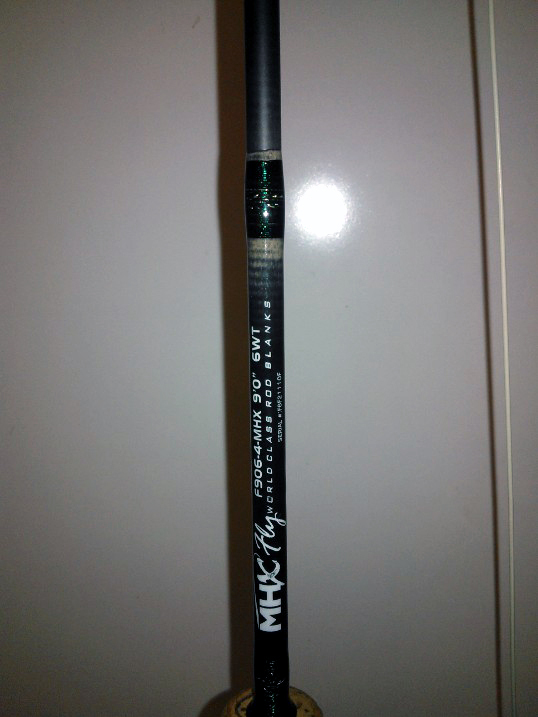 While I won't get into what I paid for for this rod, I will say that you could have this thing built in the same price range as you might pay for a BVK rod. I am so happy with the price and quality if this build that I already have Ed working on 2 additional rods for me; a 2wt and a 9wt. I am pretty much addicted to the satisfaction of having a rod built to my specs and I doubt that I'll ever buy another off the rack fly rod. It just doesn't make sense to pay so much more money when I can have a full custom built for the same amount or less. In closing, if you want Ed at FSA to build you a custom rod - any rod - shoot him an email here! In the mean time, here are a few more pictures of the rod itself. I'll be sure to do write-ups for the other rods he is working on for me as well. Update - 09/2013: So it's been about a year since I wrote this review and figured I'd update it. I still absolutely love this rod. I did break the tip of it when I was trying to clear some ice from the top guide and after repair, it was shorter by about an inch. The effect has been minimal if any. This is one of my favorite all around rods. Period. Great review! I love my MHX 7wt. I'm planning on doing 3 other wts of them sooner or later. Without a doubt the best bang for your buck! And custom is always better! I enjoy your site. Especially being another Chicagoland guy. I guess I need to get out to the burbs and explore one of these days! That is a sweet rod! Your arguements for a custom rod are valid. I had a Sage LL 9'3wt. built for me in my trout days, a gift from my local TU Chapter, that my middle boy promptly broke twice. It was repaired once but I was unwilling to ask a second time. In the time I cast it was euphoria defined by fly fishing. Still, my experience with the whole recent legion of "Mid Priced" rods is good. Very much too bad about the TFO BVK. Sure do! Still love it as well!